Taking the mark of the beast will result in dreadful punishment here on earth and also in eternal death. The consequences of taking this mark are catastrophic and completely irreversible. Learn who the beast is and what is his mark, so that you may be prepared to avoid this endtime pitfall. What is the link between prophecy and the change in the day of worship? 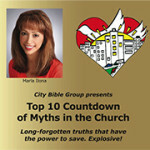 If God’s Seal is the Sabbath, what is the link between the mark of the beast and counterfeit worship or Sunday worship? Does scripture say who exactly is the beast? What are the characteristics that allow us to identify the beast beyond the shadow of a doubt? And what is its mark? What are the spiritual and physical consequences of taking the mark of the beast? When the time comes, which side will you be on? Will you take God’s Seal, or default to the mark of the beast? What kind of faith will be needed to choose God’s seal over the mark of the beast? I hope that from today’s study you’ll get the sense that God works in cycles, that there is a perfect symmetry and a perfect coherence in everything He does, especially how he has laid out everything He created in perfect patterns, whether the pattern of a week or of millennia. When God created the earth, He placed before Adam and Eve a very simple obedience test: you may eat from every tree of the garden, except this one. Instead of obeying God, Adam and Eve listened to Lucifer, the fallen angel who was already waging war against the Most High, and they chose to eat the fruit of the forbidden tree. Today, all of us are still paying for the consequences of that choice. Once again at the end of time, we will be faced with another obedience test. As a consequence of our accumulated sin our obedience test will be much tougher than Adam and Eve’s. But God will give us another opportunity to overcome where Adam and Eve failed. Remember, Adam and Eve did not have the benefit of hindsight, which is always perfect vision. We do. We have experienced in our flesh the ravages of sin on our bodies, our lives and our planet. Our God is a fair God, and He will make sure that the test is fair. Then Matthew 24:14 tells us:“And this gospel of the kingdom shall be preached in all the world for a witness unto all nations; and then shall the end come”. This podcast and today’s teaching are part of this prophetic fulfillment. As you come today to understand who the beast is, what is its mark and what are the consequences of taking its mark, versus choosing right and taking God’s Seal, you will have already begun to prepare yourself to face this end time challenge. Where does the beast appear in scripture? In our last program we spent some time looking back in history. Now we’re going to fast-forward to our time as we delve into Bible prophecy to understand how the endtime obedience will test play out for our generation. In order to understand the mark of the beast, we first need to understand who the beast is, because that infamous mark is its mark. Once we’ve identified the beast, it’s very easy to figure out what its mark is. Let’s go to scripture for answers. It isn’t that difficult to know who the beast is. The Bible gives us a very clear description of the beast. We’re going to build composite portrait or photo of the beast by assembling the different descriptions provided by witnesses, the witnesses being the prophet Daniel and the Apostle John. Three passages in scripture provide clear characteristics of this beast. The three passages are in fact building on each other, amplifying each other, and confirming who the beast is because the characteristics match. This passage doesn’t actually mention the beast, but some of the information that is given to us about the beast in later Bible passages is first presented to us in this passage. The scene takes place in the courtroom of King Nebuchadnezzar. The King has a troubling dream that he can’t remember. “Then the king commanded to call the magicians, and the astrologers, and the sorcerers, and the Chaldeans, for to shew the king his dreams. So they came and stood before the king.” (Daniel 2:2). At that time Babylon was the capital of the occult arts. He wants them to tell him what he dreamt because he can’t remember the dream, AND he’s asking them to provide the interpretation of the dream as well. Needless to say, his wise men say they can’t help him, that to provide the interpretation of the dream they’d need the King to tell them what he dreamed. The King threatens to have them all slain for incompetence, at which point the prophet Daniel who served in King Nebuchadnezzar’s court steps forward and tells the King that he will ask his God for help. So Daniel comes to the Lord, and the Lord reveals to Daniel both the dream and the interpretation of the dream. The King had dreamt of an image of a very large statue that had a head of gold, breast and arms of silver, belly and thighs of brass, legs of iron, and feet of iron mixed with clay. Then a stone was cut out without hands, and fell upon the feet of the statue that were of iron and clay, and broke them to pieces. So in Chapter 2 verses 31-45 Daniel interprets the dream for the King: the dream was actually describing the succession of world empires that would succeed the Babylonian empire, and the stone that broke the statue represented God’s Kingdom. The succession of empires starts with Nebuchadnezzar’s empire which was Babylon (the head of gold), to be succeeded by Medo-Persia (the chest of silver), then Greece (the thighs of copper), Rome (the legs of iron) and the divided Roman Empire (the feet of iron mixed with clay). So the last kingdom on the statue were the feet, symbolizing the union of church (the clay) and state (the iron). This would be the last kingdom that would reign on the earth at the time of Jesus’ second coming and the establishment of God’s Kingdom. That last empire made of iron mixed with clay represents the divided Roman Empire known today as the European Union, and we’ll see in a moment how the other two passages of scripture confirm the fact that the beast emerges from the European Union. This passage describes four beasts that Daniel saw in a dream. Verse 17 of Daniel 7 tells us that the beasts represent kings or kingdoms. So we don’t have to guess about prophecy, the Bible to explains itself. Each beast therefore represents a king or a kingdom. The winged lion in Daniel’s vision represented Babylon or King Nebuchadnezzar, the bear represented Medo-Perisa, the winged leopard represented Greece, and a strange beast with 10 horns represented Rome. This is exactly the same sequence of the body parts of the statue that Nebuchadnezzar saw in his dream, so Daniel’s vision was a confirmation of the sequence in which those kingdoms would have dominion on earth. We see that Daniel’s vision is consistent with the meaning of the different body parts and metals that made up the statue that King Nebuchadnezzar saw in his dream. In just a moment we’re going to review the characteristics of the fourth beast in Daniel’s dream or vision, the strange one with ten horns, because from there will emerge the anti-christ of the endtime. This chapter describes another strange vision of the beast that the Apostle John had sitting on the island of Patmos. John found himself in exile on this Greek island as a result of anti-Christian persecution under the Roman Empire. Like Daniel, John was a seer, and received many visions from God about events to come. One of the visions revealed to John was of a strange beast. And we find that most of the beast’s characteristics match those of the fourth beast Daniel saw in his vision, signifying that this is in fact the same beast. So in these three passages the Bible is repeating and therefore confirming and emphasizing important information for us. This is key to Bible study. Whenever God wants us to really get something, it will be repeated several times in different places although framed in a slightly different way so that each passage builds upon and amplifies the others ultimately revealing the full picture God wants to convey. Let’s take a moment now to compare the two descriptions of the beast provided in Daniel 7 and later in Revelation 13, and we’ll see that we’re talking about the same beast, and that the two descriptions of the beast found in Daniel 7 and Revelation 13 are amplifying the information that was given for the first time in Nebuchadnezzar’s dream in Daniel 2. What are the Characteristics of the Beast? Let’s look at the seven characteristics of the beast seen by Daniel, and we’ll see that there is only one kingdom in history that matches those characteristics. Remember, we said earlier that the Bible defines the beasts as being kings or kingdoms; in today’s language we would say rulers or presidents and governments. The only kingdom in history that matches all of the characteristics is the Roman Catholic Papacy. The beast is the Roman Catholic Papacy. We’re going to review in detail all of the characteristics given in the Bible about the beast so as to demonstrate both biblically and historically the statement I just made. It would emerge from the Roman Empire, which is the fourth world kingdom in Bible prophecy (Daniel 7:7-8) This small kingdom is symbolized by a small horn that emerges among the ten horns of the beast (Daniel 7:24). Small horn = small kingdom. The ten horns of the beast (which are equivalent to the ten toes on the statue Nebuchadnezzar saw in his dream) symbolize the ten tribes of Western Europe that divided the Roman Empire when it disintegrated. So the little horn comes up among these tribes that became independent states. In other words the little horn emerges in Western Europe. The little horn would pluck up or uproot three of those tribes or states (Daniel 7:8). History tells us that these three Arian tribes were totally eradicated by successive Roman Emperors: the Heruls, the Vandals, and the Ostrogoths. It would have a man at its head that would speak for it (Daniel 7:8). This little horn would be different from the rest (Daniel 7:24). This kingdom mixed religious and civil power (like the iron and clay on the feet of the statue symbolized a dual nature). The little horn would speak great words against God, or would blaspheme against God (Daniel 7:25). We’re going to come back to this point shortly when we look at the characteristics of the beast given in the Book of Revelation. This small kingdom would think to change times and laws (Daniel 7:25). The Roman Papacy has modified God’s Ten Commandments: the Catholic Ten Commandments are different from those given by God in Exodus 20. And as we studied in our last program, they also changed the day of worship from Saturday to Sunday for political reasons, to accommodate the large pagan population of the Roman Empire. This kingdom would wear out and persecute the saints (Daniel 7:21 and 25) and would be allowed to prevail against them for “a time, times and half a time or the dividing of time”. In a future study we’ll explain prophetic time and how we arrive at the calculation of what this means, but for now let’s just say (and we’ll demonstrate it in another program) that this is equal to 1260 years. This is the exact length of time that the Roman Papacy ruled, starting in 538 A.D. after the three Arian tribes were exterminated and ending in 1798 with the French Revolution. French General Berthier under orders of Napoleon Bonaparte marched upon Rome and overthrew the Pope. Remember that at that time the Papacy controlled a fair amount of territory north of Rome and had spread as far as Avignon in the south of France, which for seventy years was the seat of the Papacy. The beast of Revelation emerges out of the water. Again, we don’t need to guess what this means. The Bible itself provides the meaning of water in the context of prophecy. The answer is found in Revelation 17:15, “And he saith unto me, the waters which thou sawest … are peoples, and multitudes, and nations, and tongues.” So God clearly explained the meaning of water in prophecy. Once the symbol is given for any one prophecy, the rule will apply in every other prophecy. Water will always symbolize people in biblical prophetic imagery. I’m not saying that water always means multitudes in the Bible, but water takes on this particular meaning in the context of Bible prophecy. So what this means concretely is that this beast that John saw – representing a kingdom – arises out of a densely and diversely populated area. The beast of Revelation combines lion, bear and leopard, which we defined for the previous passage. This beast that John saw on the island of Patmos is already a composite of the four beasts of Daniel. Let me mention quickly however – and we’ll come back to this point in a future study – that this prophecy of the lion, bear and leopard has a dual fulfillment: one fulfillment in Antiquity and a Contemporary fulfillment. In Antiquity we saw that the lion is Babylon, the bear is Medo-Persia, the leopard is Greece and the ten-horned beast is Rome. In the Contemporary fulfillment of this prophecy the lion is the United Kingdom and the clipped wings represent the independent US, the bear is Russia, the winged leopard is the alliance of Germany and France and the 10 horns represent the European Union reborn. The beast has seven heads ten horns. Daniel’s beast also has 10 horns. The Book of Revelation is going to amplify upon the meaning of the beast, its seven heads and ten horns. Revelation 17:9-10 tells us: “The seven heads are seven mountains, on which the woman sitteth. And there are seven kings: five are fallen, and one is, and the other is not yet come; and when he cometh, he must continue a short space.” The scripture says that the first meaning of the seven heads is seven mountains. 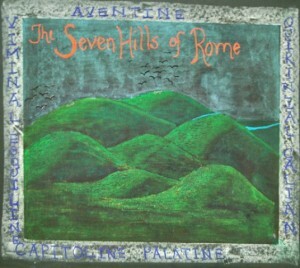 Did you know that Rome is the City of Seven Hills? This is where the Vatican is headquartered. Secondly it talks about seven kings: five are fallen (that means past), one is (that means was in power at the time of John’s writing of the Book of Revelation) and one is not yet come (in John’s time this last head had not yet made an appearance in history). These seven kings or kingdoms are seven successive empires that persecuted God’s people, in order of appearance they are: Egypt, Assyria, Babylon, Medo-Persia, Greece (all of these were fallen at the time of John’s writing), Rome (which was in power in John’s time) and the Roman Catholic Church (which didn’t exist yet at the time of John’s writing). The dragon gave this beast its power, throne and authority (Revelation 13:2). Revelation 12:3 helps us understand this statement: “And there appeared another wonder in heaven; and behold a great red dragon, having seven heads and ten horns, and seven crowns upon his heads.” Revelation 12:9 then proceeds to tell us that the dragon is Satan, the devil. By all of this we are able to deduce that the kingdoms we enumerated a minute ago are governments or empires through which Satan worked to persecute God’s people. The Revelation beast receives a mortal wound on its head: the overthrow of the Papacy in 1798. The wound is “by a sword”, which is Bible language for the military which is exactly what happened as French troops invaded Rome and toppled the Papal government. Its wound is healed. This prophecy is being fulfilled in our generation, as the honor and power of the Roman Papacy have been restored. The Pope is protected by several governments, is a political figure who is personal friends with the leaders of the leading nations of the world, the whole media reports on his diplomatic encounters, and in our time Pope Francis is making personal appeals to the Protestant Community to come back into the Mother Church. The Vatican is a powerful political organization, one of the top influence centers in the world. There are approximately 1.3 billion Catholics in the world the majority of whom look to the Pope for guidance on spiritual matters which as we know have great impact on day-to-day life. So today we can consider the beast’s wound to be healed. The 8th. characteristic of the beast is given in Revelation 13:7 which reads: “And it was given unto him to make war with the saints, and to overcome them: and power was given him over all kindreds, and tongues, and nations.” So this is amplifying what we’d already learned in Daniel 7. We learned that the beast made war against God’s people and defeated them. For centuries during the Dark Ages God’s people were persecuted for studying or even possessing a Bible and standing in God’s truth. They were burned at the stake for heresy and accused of being witches if they disagreed with Rome. The Papacy had religious and civil power , and once again this is a prophecy with dual fulfillment. From 538 AD until 1798, the Papacy instituted a reign of terror. As inconceivable as it may sound, this will happen again in our lifetime, right before the Second Coming of our Lord Jesus Christ. Rome’s religious and civil powers will be fully restored and she will once again become a persecuting power. History shows us that the union of church and state always leads to religious persecution. And Bible prophecy is always fulfilled. So it’s not a matter of if this will happen, it’s simply a matter of how soon. Revelation 13:8 tells us that “All wondered after the beast and worshipped it, whose names are not written in the Book of Life of the Lamb”. So the great majority of people on this earth, including most Christians, will worship on the beast’s terms. We already learned that this means Sunday worship. The beast forces everyone to take its mark. This is extremely critical to understand. Revelation 13:15-17 tells us that “as many as would not worship the image of the beast should be killed. And he (the beast) causeth all, both small and great, rich and poor, free and bond, to receive a mark in their right hand, or in their foreheads: And that no man might buy or sell, save he that had the mark, or the name of the beast, or the number of his name.” I want you to realize the implications of this. You will be forced to take a stand for or against God’s Ten Commandments. If you agree to worship on Sunday, you are accepting the mark of the beast. If you stand your ground and obey God’s Fourth Commandment to keep the Sabbath holy, you will not be able to shop at Walmart’s nor buy a house nor sell your car nor sell your time for a salary. Do you understand now why this is going to be the ultimate obedience test? Revelation 13:18 gives us a big clue about the identity of the beast. It says “Let him that hath understanding count the number of the beast: for it is the number of a man; and his number is six hundred threescore and six.” This is the infamous 666 we’ve all heard about. Now there is a lot of debate about the number 666, how we arrive at the number, which numeric system should be used to count, etc. One thing we can totally exclude is gematria, the Hebrew word for numerology. Nowhere in the Bible is numerology encouraged, since it’s one of the occult arts that so displease the Lord. Therefore we do not use numerology to calculate the number of the name of the beast. Instead we know that many alphabets double as numeric systems. For example in Latin and Greek (as well as Hebrew for that matter) letters doubled as numerals, so this is how we calculate the number 666. Fortunately, scripture provides abundant other clues as to the identity of the beast, so we don’t need to get hung up on this one characteristic. But let’s try. The first clue given by scripture is that this is the number of a man. Revelation 15:2 tells us that “it is the number of his name”. One of the names of the Pope is “Vicarius Filli Dei” which is translated into English as “Vicar of the Son of God” which when added in Roman numerals equals 666. Our Sunday Visitor (April 18, 1915) states: The letters inscribed in the Pope’s miter are these: VICARIUS FILLII DEI, which is the Latin for, “Vicar of the Son of God. So far we’ve established without doubt who is the beast: the Roman Papacy. What then is the mark of the Catholic Church, in other words, what is the mark of the beast? Let’s listen to some quotes from Catholic publications which give us the answer. So the mark of the beast is enforced Sunday worship. Once again, I am not putting words in anyone’s mouth. All of these quotes I have read you in today’s program and our previous program are taken from official publications of the Catholic Church. Sunday worship will become the mark of the beast when it is enforced as a condition to having a job, buying groceries and marketing your services. With this, we put to rest all the speculation about the mark of the beast being a microchip that will be injected into our bodies, or a tattoo on our hands, or any number of other possibilities that have been conjectured. The mark of the beast is a spiritual mark, just as the Seal of God is a spiritual seal. The behavior can be observed, but the mark or the Seal only God can see. This doesn’t mean that there couldn’t be an accompanying physical mark of worldly approval for those who follow the beast and worship on Sunday. The mark would identify them as being part of the official economy and hence being allowed to work and trade. But if there is a physical mark it will follow, and be a consequence of, the spiritual choice of having pledged allegiance to the beast (i.e. the Roman Catholic Papacy) instead of God. So any sincere Christian who was unaware of the gravity of the changes and practices instituted by the Roman Papacy and of God’s displeasure with Rome will not be held accountable for worshipping on Sunday, until now. Now is the fullness of the Gentiles come. Now is the time when this gospel – the Three Angels’ Message of the Book of Revelation – is being preached across the earth. And God’s people will need to take a stand, for Rome or for God, because Rome and God are standing in opposite corners and there’s a chasm between them. What are the consequences of taking the mark of the beast? The introduction of the mark of the beast as an enforced day of worship will be the divisive factor that will separate humanity into two groups: those who bear the Seal of God and those who bear the mark of the beast. Many of Jesus’ parables highlight the fact that at His Second Coming there will be two groups: the wheat and the tares. Those who choose God’s Holy Sabbath will receive God’s mercy. Those who choose even by default the counterfeit day of worship will receive His wrath. Which day of worship we observe will be God’s ultimate obedience test for our generation. I know that this is a real leap of the imagination for all of you, but the stage is set and the actors are already on stage. The curtain has already been lifted and we’re in the final act of human history. Prophetic fulfillments are accelerating on a daily basis. So let’s examine the consequences of taking the mark of the beast. Let’s first look at the consequences of refusing to take the mark of the beast. Without the mark of the beast God’s people will not be allowed to buy or sell. This means no commerce, no trading of your time for money (i.e. working for a salary). God’s people will pay a very high price in this world for our loyalty to God and preferring God’s Seal over the mark of the beast. The consequences will be total ostracism, social and economical. We will be excluded from all commercial transactions and will become social pariahs. There will also be persecution against us. Many of us will have the opportunity to stand before judges and other authority figures to articulate the reasons for our choice. The Holy Spirit will give us boldness and eloquence of speech to explain God’s will. But our true and glorious reward will be in Heaven. Let’s now turn our attention to the consequences of taking the mark of the beast. Those who take the mark of the beast will have apparent earthly success and their lives will seem to go well for a while. But this is only for a short season. Because very soon the last seven plagues of the Book of Revelation, the Seven Vials, will be poured out upon those who have taken the mark of the beast. The mark of the beast is the utmost punishment that men can receive for dishonoring the Sabbath and disobeying God. So God’s wrath will fall upon those who were given the choice of worshipping on the right day and yet chose to do otherwise. This also marks the point of no return in terms of eternal salvation. Right before the first of the seven plagues is poured out on men the Heavenly Sanctuary will be closed and Jesus our High Priest will no longer be in the Holy of Holies interceding for mankind. So Jesus – the one man in heaven who officiates in the sanctuary – is no longer able to enter into the temple, until the seven plagues are fulfilled. At this point, when the tabernacle closes, there is no more mercy, no more opportunity to repent. Our eternal fate – whether eternal life or eternal death – will have been decided by the choice we have made. God’s Seal brings eternal life, the mark of the beast brings eternal death. The patience and long-suffering of our God will have run out for this renegade planet and our rebellious, sinful generation. Not keeping the Sabbath will bring very grave and absolutely irrevocable consequences. “And I heard a great voice out of the temple saying to the seven angels, Go your ways, and pour out the vials of the wrath of God upon the earth. And the first went, and poured out his vial upon the earth; and there fell a noisome and grievous sore upon the men which had the mark of the beast, and upon them which worshipped his image. And the second angel poured out his vial upon the sea; and it became as the blood of a dead man: and every living soul died in the sea. And the third angel poured out his vial upon the rivers and fountains of waters; and they became blood. And I heard the angel of the waters say, Thou art righteous, O Lord, which art, and wast, and shalt be, because thou hast judged thus. For they have shed the blood of saints and prophets, and thou hast given them blood to drink; for they are worthy. “And the seventh angel poured out his vial into the air; and there came a great voice out of the temple of heaven, from the throne, saying, ‘It is done’. And there were voices, and thunders, and lightnings; and there was a great earthquake, such as was not since men were upon the earth, so mighty an earthquake, and so great.? ?And the great city was divided into three parts, and the cities of the nations fell: and great Babylon came in remembrance before God, to give unto her the cup of the wine of the fierceness of His wrath. And every island fled away, and the mountains were not found. And there fell upon men a great hail out of heaven, every stone about the weight of a talent: and men blasphemed God because of the plague of the hail; for the plague thereof was exceeding great”. So the Seal of God is a Seal of Obedience that will distinguish His people from the rest of mankind. All who have ears to hear, let them hear. 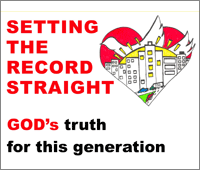 A very special kind of faith is required of us, the endtime generation. We need to know God in a deep and intimate way. We need to know His Word, that He is True and Faithful, that when the prophet Elijah was being persecuted God instructed him to dwell by a brook and arranged for the ravens to feed him. When the brook ran dry God sent Elijah to dwell with a widow who fed him. Every day God will provide the manna of that day, like He did for the children of Israel in the desert. What is required of us is an extraordinary faith for an unprecedented time, faith that comes from an extraordinary walk with God. Tagged angels, ark of the covenant, Bible, catholic, Daniel, mark of the beast, plagues, Pope, Revelation, Rome, Sabbath, Saturday, seal of God, seven last plagues, sin, Sunday.